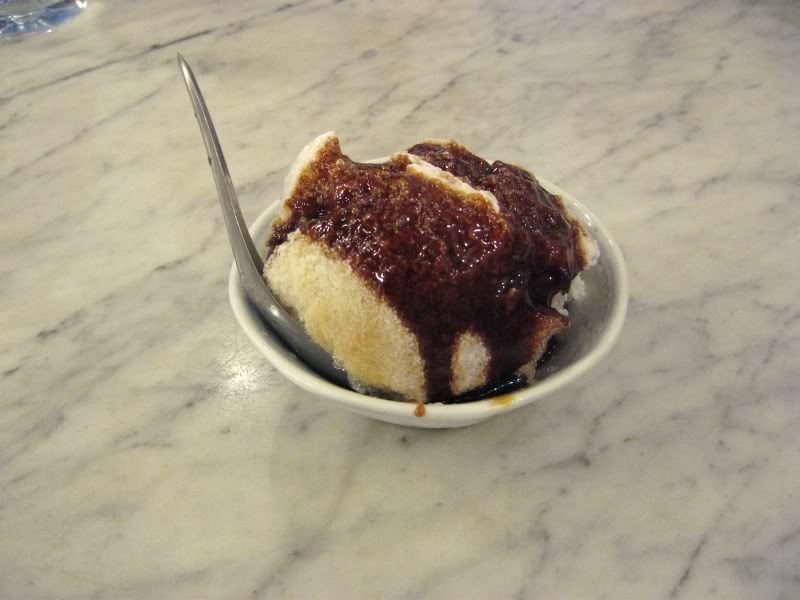 Oh glorious mountain of shaved ice and gula melaka! Went on a day trip to Melaka last weekend. Where did I go for all this Laksa + Cendol, you ask? The (new) name of the place is "The Museum Cafe" and the phone number is 06-286 8786. Oh, and holy commercialism! They have a website too! 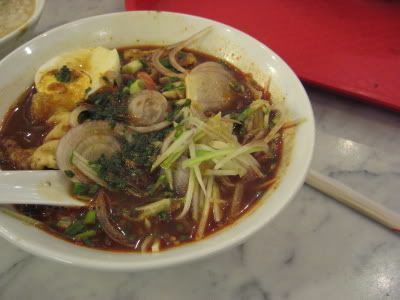 The Baba Laksa was rich without being too "lemak-y" and the texture of the noodles was tender with a little bounce to the bite. Both Laksas came generously topped with half a boiled egg and foo chok, amongst other things.... all for only RM3.50 a bowl! Well,... it was a scorchingly hot day so it went down very very well. I really wanted to try the Chicken Rice Balls (please avert any skewed thoughts *glare*) at another coffee shop at the other end of Jonker Street, but was too full and decided not to gorge myself. Good thing too, cause the line was super super long! Well,... it's probably worth the wait anyway. I've tried out this restaurant before a few years back - the chicken's tasty and the rice balls are fragrant without being too sticky. Hmmm, *stares at photo*, am starting to feel hungry just thinking about it - damn. So, who wants to drive down to Melaka? I want to go for road trip to makan!!! Lucky you. 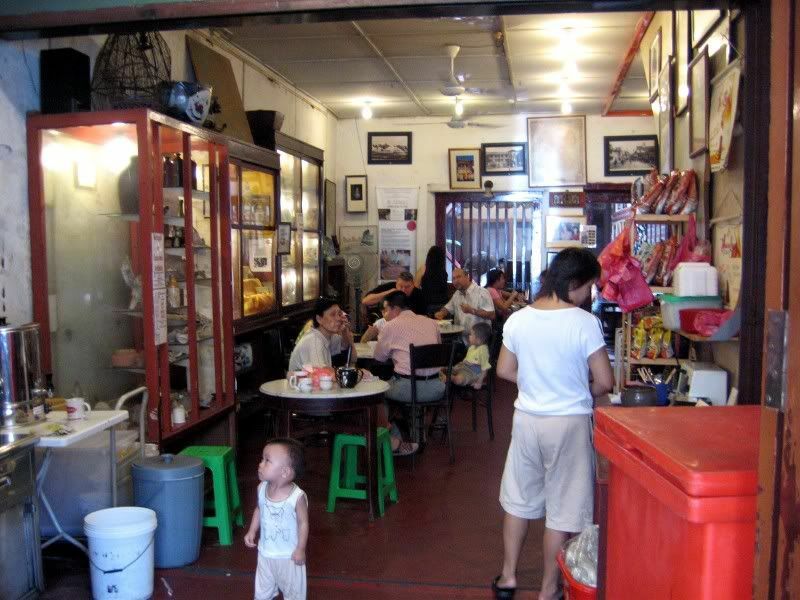 Wish I could really go as I have a long list of must try places in Malacca. Yeah... so many good places to eat there! 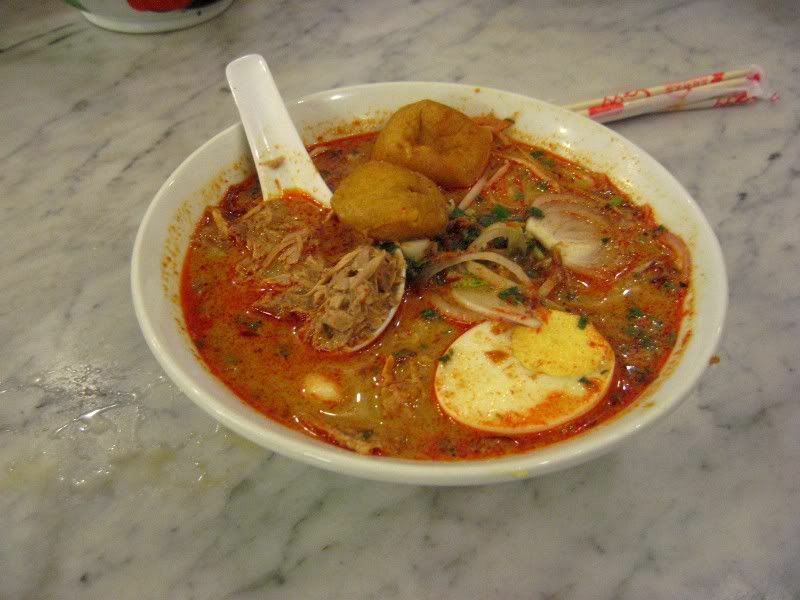 So where would you recommend for the best laksa/ ikan bakar/ sate celup and chicken rice ball? Then I can plan another makan trip to Melaka. Tried both the Laksa place and the chung wah chicken golf balls.....very yummy indeed!!! 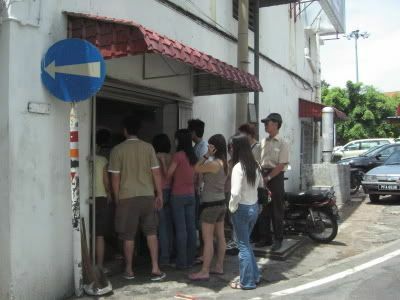 Just wanna add one more....Along jalan Ong Kim Wee have 2 satay celup shops side by side.....very nice too!! Yeah... it's just so yummy on a hot day! 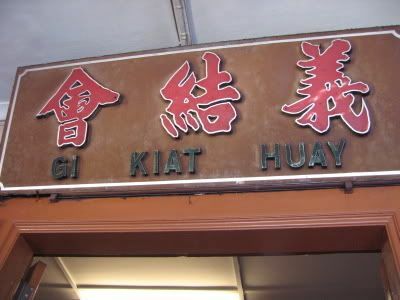 Glad to hear you had fun trying out the food in Melaka. 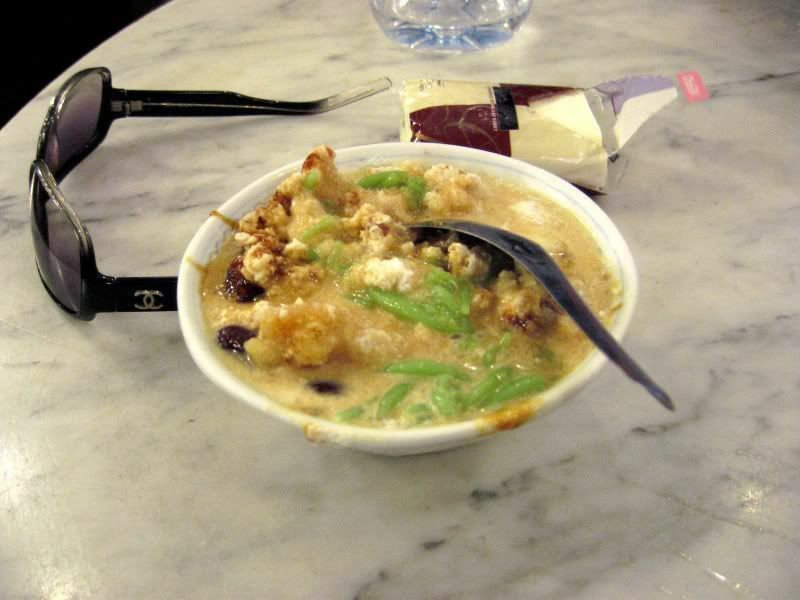 Oh man - I have actually never tried the satay celup before... 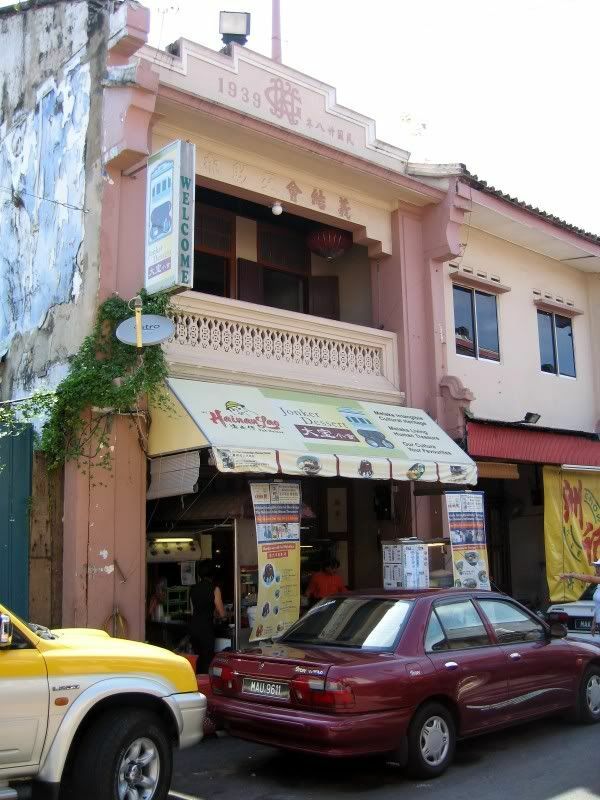 I must go back to Melaka soon!